When do you have tryouts ? How do you select your teams and how you decide what team a player is placed on ? Our rosters are invite only. We use our tryouts to evaluate players but we also count on our vast network of high school and college coaches who constantly recommend players to us. We have multiple teams in each age group. Players are grouped according to their skill level and their recruiting process. Our Black teams usually consist of players who have already committed to a college or have multiple offers on the table. Our Green/White/Blue rosters are usually divided based on tenure with the Knights program and where the player will get the most playing opportunities and the best exposure. How much does your program cost ? Our 2018 High School summer fee is $1650 and our 2018 Fall fee is $825. All dues are paid on our website under ” Payments “. This player fee covers everything except our Marucci uniform package. Uniforms are ordered on our Marucci site and generally in the $200-300 range depending if you are a returning player or a new player. We also have a limited alumni scholarship program in place to help families who need financial assistance and this should be discussed with program management if this applies to your family. What is your approach to playing time ? We believe playing time is earned and the players that play the best, play the most. All players will get their fair share of playing time but their performance matters. Players will learn to compete for playing time in our program and this will benefit them in the long term. How many players are on a team ? We generally have about 16-18 players on a team. Every roster is different based on the amount of pitchers. We build our rosters in general to have 10 pitchers and 12-13 position players. What is the summer schedule like and does every team attend the National events ? We will play in multiple regional events at college campuses as well as several National events. We generally attend the Perfect Game WWBA Championships in Atlanta, Ga., and the Future Star Series in Houston,Texas. We will also attend various Team USA events and other National events held by different tournament organizations. Every team does not attend the National events. Each year is different and we will send our teams who we feel are ready to compete at the National level. Who will coach my son’s team ? We have one of the best coaching staffs in the country and your son will have access to our entire group of coaches. We have coaches who have played in the major leagues, several that have played professionally, and the majority who have played at the college level. We also have several coaches who are currently head coaches at the high school level and several who have college coaching experience. Our staff is available to all of our players and you won’t find a better collection of coaches anywhere. How many of your players move on to college baseball? We have had tremendous success with helping our players reach the next level over the course of our 11 year history. Our goal is for every player to play in college. Obviously we would never guarantee this, but the large majority of our players do indeed play in college. Our success rate is near 80 percent since our program’s inception. So 8 out of every 10 players in our program will generally play college baseball. This is something that takes a group effort but ultimately falls on the player and his commitment to making this happen. What does #4L mean ? #4L = For Life. This is something our program truly believes in and we want our players to be a part of this program for life. We have so many alumni who are still involved in our program and contribute in many various ways. We want our players to have a sense of pride in the Knights program and feel they are part of something bigger than themselves. Does your program have any Sponsors ? 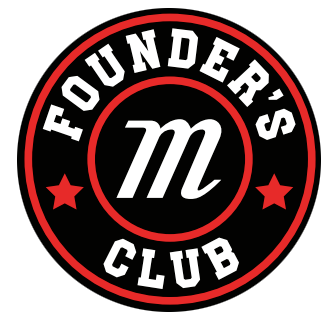 The Knights program is a member of the Marucci Founder’s Club, which is a select group of programs across the country. We are very lucky to be part of this exclusive group of organizations. Our players have year round access to Marucci products at a significant discount. Players will receive this information when they join the program. We have also become partners with Adidas footwear. Our players have access to discounted Adidas footwear all year long. What is the Kastle ? The Kastle is the Knights very own 6500 square foot indoor training facility located at 106 Campbell Ave in Mandeville, La. This facility is available to Knights players year round. Players have access via a door code and can train 24/7 . This is available for only Knights player at no additional charge as it is simply part of your spot in our program.